I love taking a pride in my nails and after learning many moons ago that acrylic nails leave your nails paper thin, nail strengtheners have been a constant in my fridge. Having never tried the Renunail range before, I was curious as to results. Available in a hefty 30ml bottle, this Nail Strengthener (£17.50) pulls no punches and does exactly what it states. Following a 28 day program of coating your nails on a daily basis, the calcium enriched varnish helps to strengthen natural damaged nails. It states not to use the product for 3-4 weeks after nail extension removal, but when you can use it you will see a definite increase in nail strength. I have been surprised by the results after a week, my nails feel significantly stronger and the varnish offers a lovely, clear matt coating that is a perfect, natural summer look. 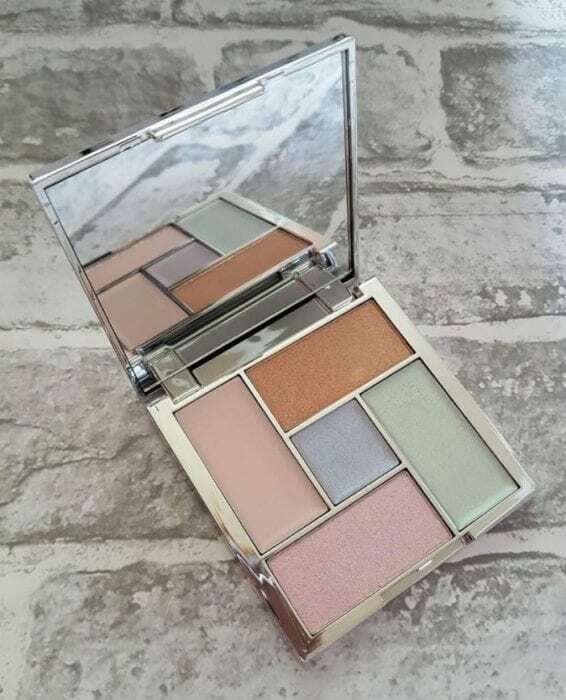 Contouring is the ‘in thing’ at the moment and even now I still have no idea where to start, however this handy Distorted Dreams Highlighting Palette (£10.99) is the perfect starter for me. Housed in a very handy mirrored palette case, the newly launched range from Sleek Makeup is the perfect handbag accessory for the summer. Including 2 velvety powders and 3 luxurious cream formulas, the iridescent highlighting palate will add luminosity to your eyes, cheeks and lips. If you really want your lips to make a statement then try the new Matte Me Metallic Lip Cream range (£4.99). With a range of colours that will help you stand out this summer, the lip creams are super easy to apply, with only one silky smooth coat required. I was surprised at how smooth the cream was to apply and noticed that the colour did not budge for quite some time so I did not need to worry about constantly applying. Hair bobbles are like gold dust in my hair, one minute they are there and the next the dog has eaten them, so a new supply is always much appreciated! Both myself and Mini Me love the Scunci bobbles which are so colourful and perfect for the summer! The rubber hair bobbles £4.50 are very kind to hair, with no chance of snagging or breakage and perfect for carrying on you at all times for the summer.